Dr. med. Andreas Grust and his team would like to welcome you to the radiology practice “Radiologie Düsseldorf Mitte” on Marienstraße 10, right in the city center of Düsseldorf. Since 2002, Dr. Ing. Grust worked as a resident radiologist in Dusseldorf. 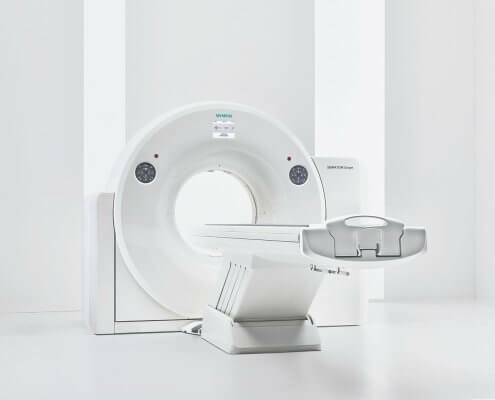 Equipped with state-of-the-art technology, the practice offers diagnostic examinations using magnetic resonance imaging (MRI), computed tomography (CT) and digital radiography. By the modern devices is examined in each case with the lowest possible radiation exposure. We expect a friendly and pleasant atmosphere in a professional environment. You do not like to make phone calls or are at work during the day? Or you have a desired date? With the help of Doctolib you can easily book your appointment with us around the clock. More Info about DoseIntelligence by Dimera. 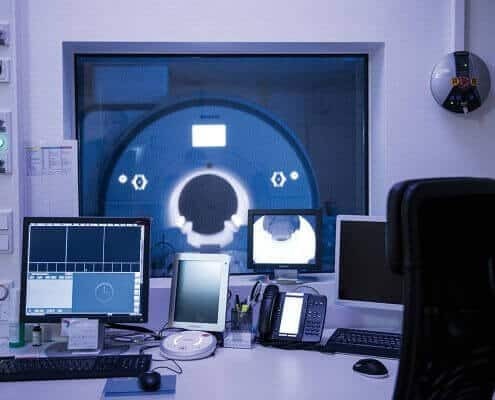 In modern magnetic resonance tomography, a strong magnetic field is used to cut images from the inside of the body. Computer tomography represents a body region layer by layer, providing images without overlay. 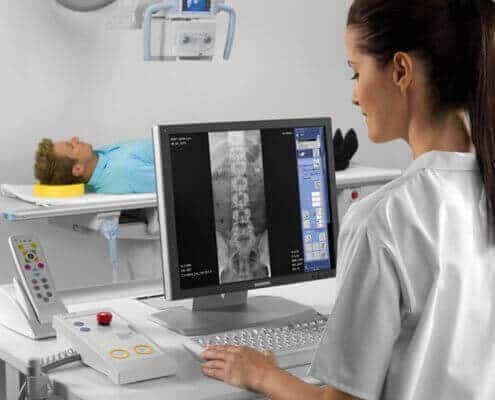 X-rays are used to create a view of the body’s interior. 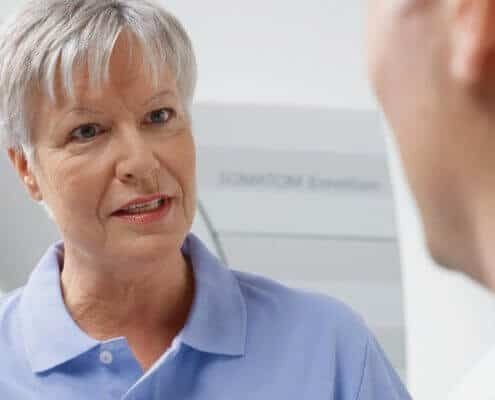 Protect your health and prevent routine health checks such as Bone marrow measurement, prostate MRI, or cardio check ups. 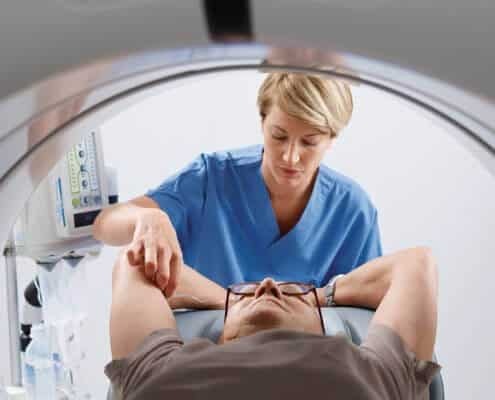 In PRT pain therapy, the patient is driven on a bed in a prone position through the opening of the computer tomograph. After an initial planning picture at the appropriate level, the therapy begins. Using a probe, analgesic drugs are applied directly to the irritated nerves or the facet joint. In this way, we fight the pain directly at the place of origin. The entire intervention is carried out under visual inspection in computer tomography in order to allow a targeted administration of the drug for maximum therapeutic success. We always offer our patients the best possible examination in a trustworthy and pleasant atmosphere. Current statistics on the dosage efficiency of the examinations performed.